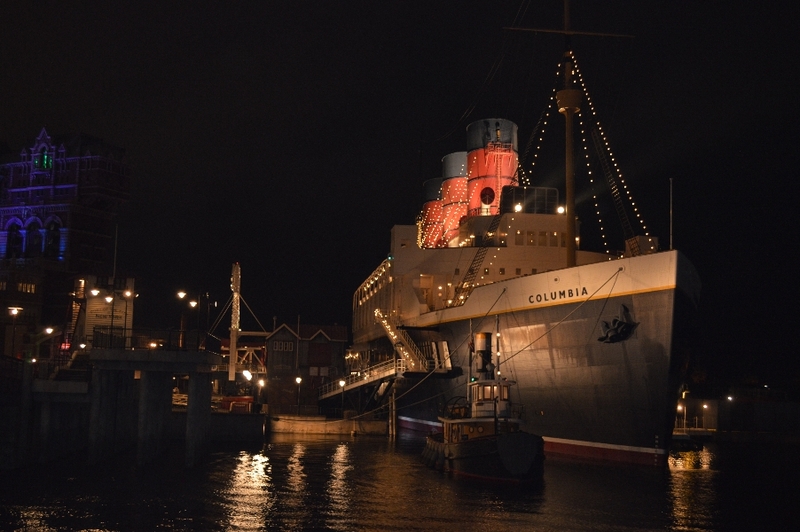 When it comes to weird themed restaurants, Tokyo is the place to be. How about a Ninja restaurant? Or perhaps you’d like to dine in a freaky prison mental hospital? Or why not bring out your inner fisherman and catch your dinner, at the restaurant? Personally, I’ve got a weak spot for Alice in Wonderland so we decided to pay a visit to one (Shinjuku) of the (I think it’s) 3 Alice themed restaurants in Tokyo. Just finding the place was a challenge in itself but as always, I asked a nice woman if she could help me. At first I tried asking if she knew of the Alice in Wonderland restaurant but she didn’t seem to understand much of what I said. Instead I tried my best Japangrish, that is to say, speak English with the sounds used in the Japanese alphabet. I was pretty pleased with myself when I nailed the pronunciation of “Arisu in Wondarando” and she immediately understood what we were looking for. She was really surprised to hear that there was such a restaurant nearby and asked me several of times if she had heard me correctly. Meanwhile we were talking, some of her friends showed up and assisted in the search for the elusive restaurant. After much laughter and searching on their phones, they gave us directions to the basement floor in a nearby house. Judging from their reaction, I wouldn’t be surprised if we just found the restaurant some more visitors. We walked all the way down to the basement but where was the restaurant? Of course it was hidden under the stair behind a sliding door that looked like a book. Inside the restaurant, the tiniest little waitress, dressed up as Alice, lead us to our table. She then heaved up a large book on the table containing the menu and also kindly told us about the special recommendations. We ordered drinks from the special recommendations menu and the rest from the regular menu. Everything on the menu had names inspired by Alice in Wonderland, like Mad Hatter or Caterpillars and Alice of course. We ordered bread with avocado/scrimp dip and a caterpillar (avocado) on rice that also came with some sliced tuna + two different desserts. The portions were quite small and perhaps a bit on the expensive side but very tasty. All in all, this restaurant was a great experience! If only we had found it earlier, we would have stayed longer (I think they close at 23). 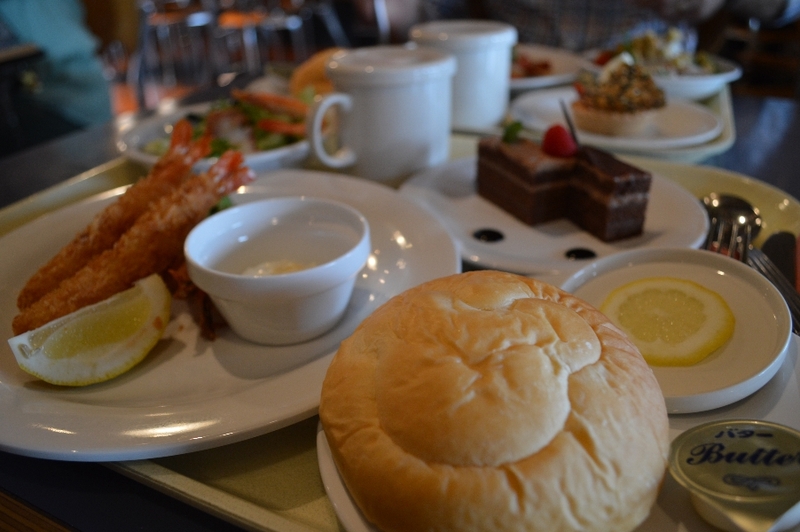 Categories: Japan, Travels | Tags: Alice in Wonderland, Japan, Shinjuku, themed restaurant, Tokyo | Permalink. Ever since I was a little kid, I’ve always wanted to go to Disneyland but never had the chance until now. Before the we left for Japan, I did some googling and as it turned out, there are not one but two Disneylands in Tokyo! 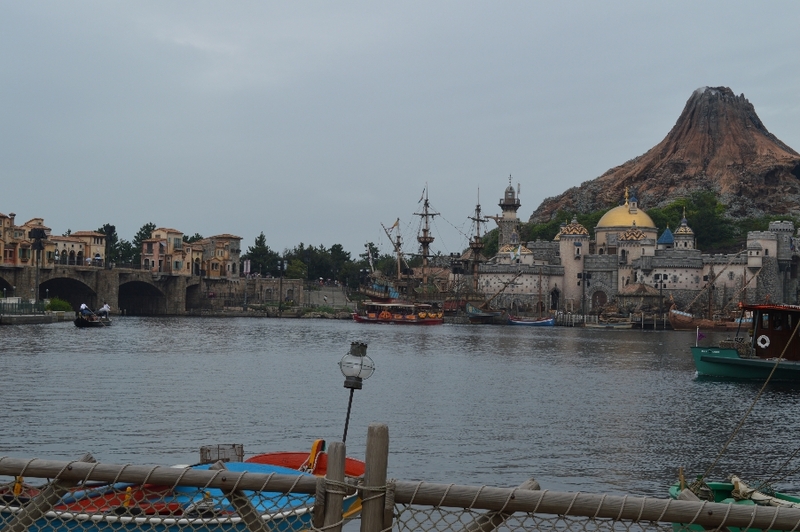 One ordinary Disneyland and one called Tokyo Disney Sea. The latter was supposedly centered around water with areas inspired by steampunk and Jules Verne. Steampunk and Disney all at once, could it get any better? The Mediterranean harbour, with volcano and all. We were warned beforehand that there probably would be a lot of people at the park so we decided to go there on a Tuesday. This particular Tuesday, the weather gods had decided that clouds + drizzle was a good idea. I think both the fact that it was a weekday and the weather wasn’t perfect contributed to keeping the number of visitors low. However, drizzle in Tokyo when it’s around 25 degrees means that the water dries pretty much instantly so for us, it was a non issue. 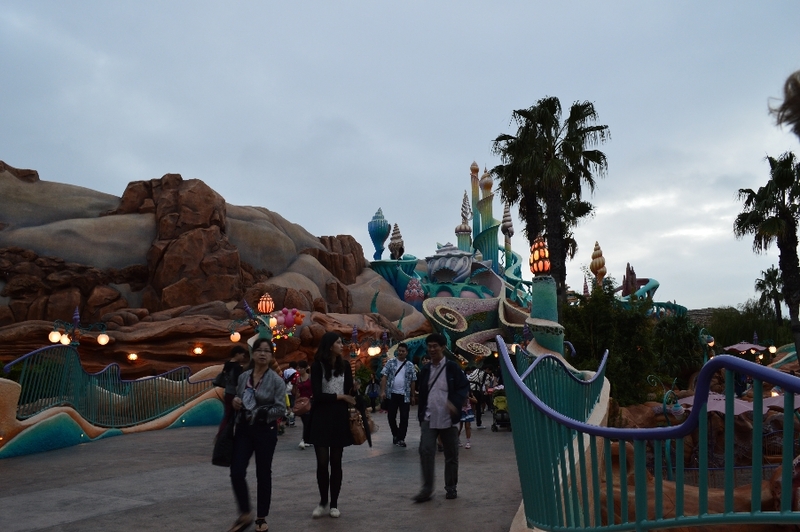 Was Tokyo Disney Sea as amazing as I imagined it to be? Both yes and no, I’d say. First of all,the scenery was amazing! Never in my wildest dream could I imagine that they would build a freakin’ volcano or recreate Venice with gondolas and all. I swear, Agrabah (yeah, they’ve built that as well) even smelled like it hosted camels! Venice! No wait, still in Tokyo. “Why not build a temple while we’re at it?” Here I am, in the Indiana Jones part of the park. Merry-go-round in camel-smelling Agrabah at night. Scenery-wise, I really liked the steampunk inspired areas, Port Discovery and Mysterious Island. Photo taken on our way to the restaurant in Port Discovery. The Mysterious Island and the volcano Prometheus. Secondly, I was expecting more roller coaster rides that would make me scream of joy and excitement. There were definitely fewer rides than I expected and they focused more on being visually appealing than speed. It wasn’t bad, just not what I was expecting. My favourite ride was, without a doubt, Tower of Terror. Since all the storytelling and everything was in Japanese and I understood like 10%, I was constantly surprised. I don’t want to spoil the experience for anyone so I won’t say anything more other than it was pretty darn epic. This is the entrance to the little mermaid lagoon. 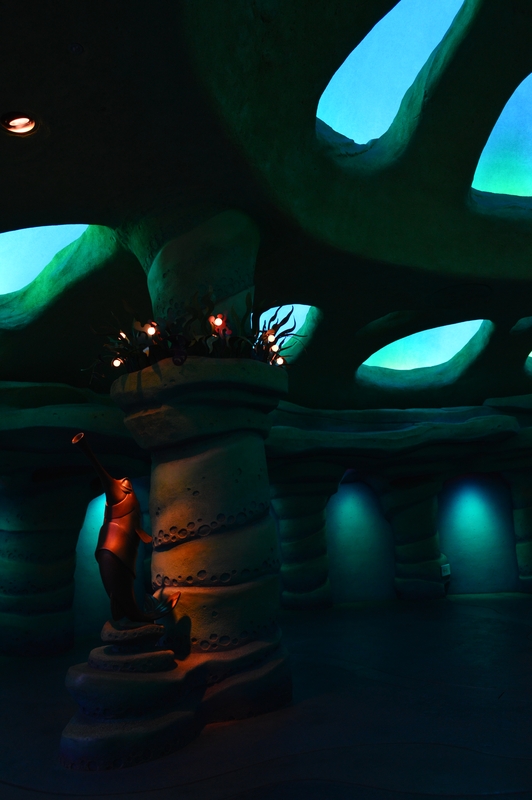 Inside the mermaid lagoon (or rather, cave). There are a couple of restaurants serving Japanese food aimed for families so I wouldn’t say that the menu was super exciting. But I love ebi tempura (fried scrimp) so I was happy anyway. Before going home, we went for one last “ride” that was inside the Titanic, namely “Turtle Talk”. The audience sat down in a large room, much like a cinema where the animated turtle from Finding Nemo showed up. The cool thing was that the turtle was actually talking to the audience in real-time. As usual, I understood like 10-20% of what everybody was saying but still I enjoyed it. Only problem was that I was a bit afraid that the turtle would decide to talk to the only two foreigners in the audience, but we got away with just watching *phew*. “Titanic” at night, quite a view. 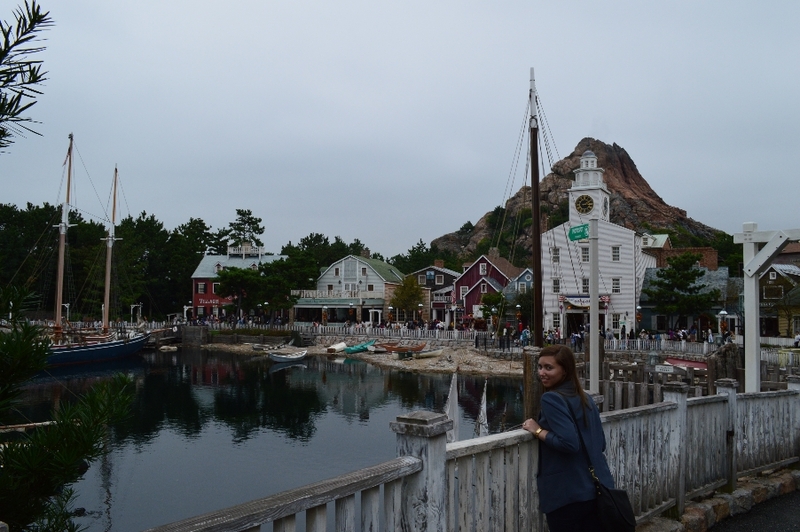 Categories: Japan, Travels | Tags: Disney Sea, Disneyland, Japan, steampunk, Tokyo, Tokyo Disney Sea | Permalink. 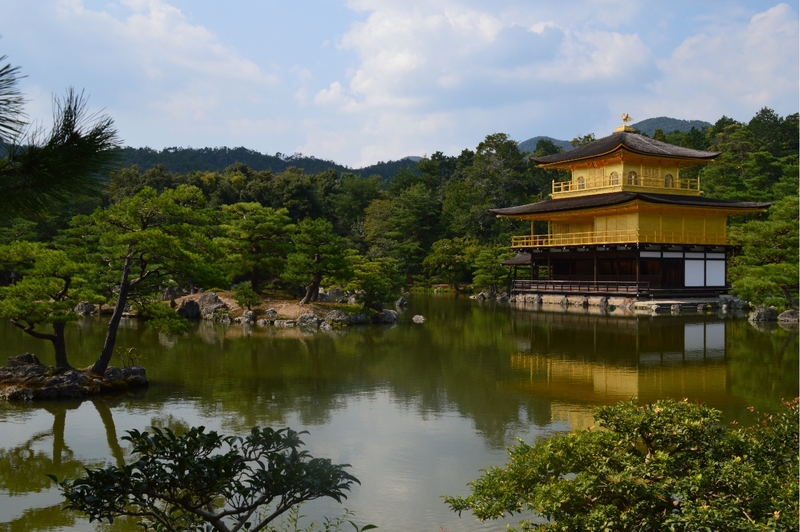 The Golden Pavilion, or Kinkaku-ji as it’s commonly known as, is a Zen Buddhist temple located in the northern part of Kyoto. 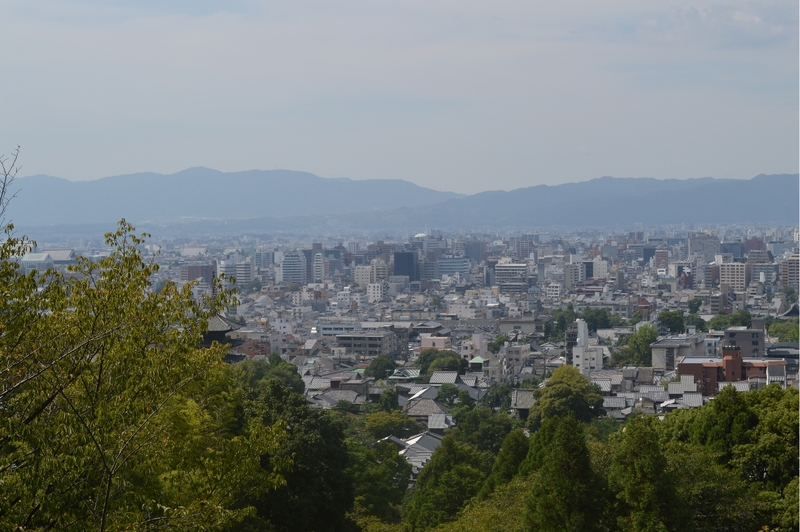 Visiting Kyoto without seeing Kinkaku-ji is like going to the Louvre and not be bothered to see Mona Lisa. So of course, we had to see what all the fuss what about! We got there by taking a JR train (forgot which line) to Enmachi Station and then a taxi to the temple. If you’re not on a tight budget, I can very much recommend grabbing a taxi. It cost us around ¥1000 one way but because there is pretty much no traffic, you’ll reach your destination in no time. The only downside is that taxi drivers speak almost no English at all. If you don’t speak a word of Japanese, I recommend writing down the address on a piece of paper and/or bring a map with you. At the temple grounds there were a special exhibition showing the high priest’s house. It was in Japanese only and the cashier seemed very concerned that we wouldn’t enjoy it and told us several times that English wasn’t available. We assured him that it was fine and bought our tickets. Just as we had taken off our shoes and put them in a plastic bag (yes, you carry your shoes with you, in a bag), another ‘museum attendant’ came up to us with some papers. They weren’t official or anything, he said, but they were in English and explained the layout of the house, what rooms had been used for what etc. Then he did his best to give us a quick guided tour. It’s things like this that I love about the Japanese. We’ve met so many lovely and friendly people who really go out of their way to help two slightly confused foreigners. The special exhibition was very nice even though we didn’t really understand everything. The best thing about it could actually be the calm atmosphere that surrounded the house. Almost everyone went straight for the Kinkaku-ji, making it a bit crowded but at the house we were just a handful of people. Also the stone garden surrounding the house was memorable. Kinkaku-ji itself was very beautiful but I have to say that I think the crowd of people was a little bit disturbing. 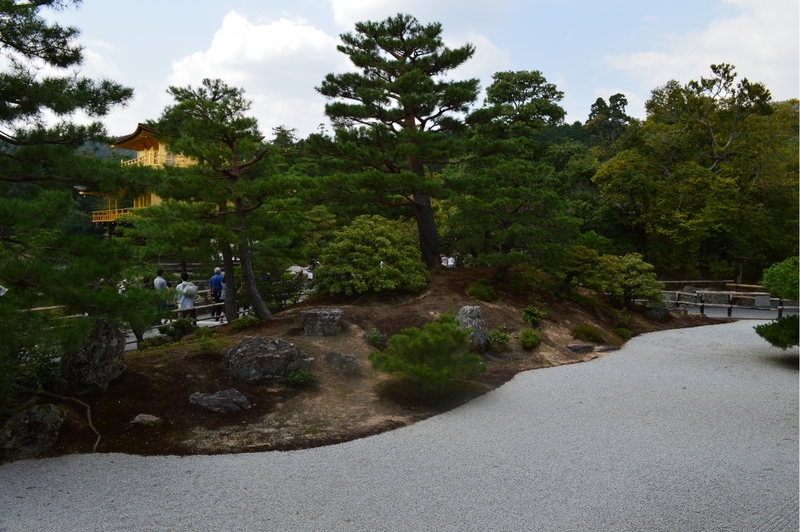 I would probably have enjoyed it more if we could’ve just sat down on a bench contemplating the view of the garden like we did at the Tenryu temple. In summary, I’d say that the Kinkaku-ji was well worth the visit but I would recommend visiting early in the morning. 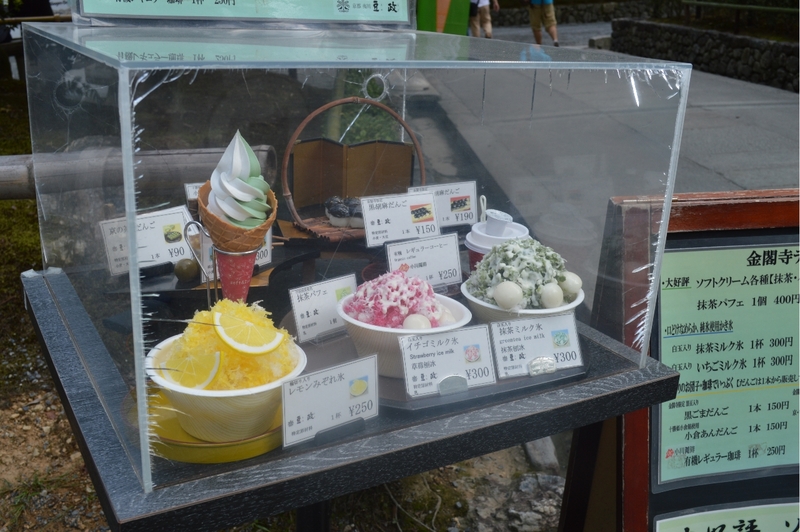 Outside the temple grounds, there’s a café selling the wonderful green tea ice-cream that I miss soooo much. I just had to take a picture of the plastic food they got on display. That green tea/vanilla ice-cream is to die for, yum yum! 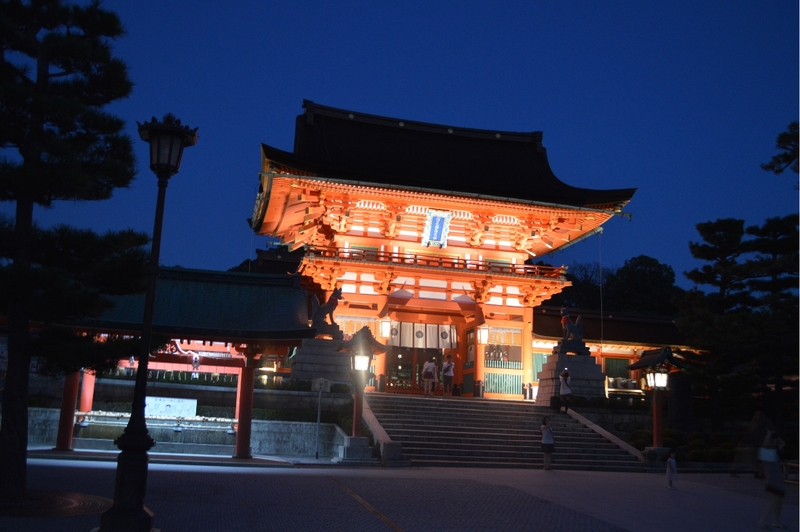 After the Kinkaku-ji, we took a taxi back to Enmachi Station and took the train back to Kyoto station, switched to the train for Nara and got off at the Fushimi Inari Taisha, known for it’s “Thousand Torii Gates”. I didn’t count but I don’t think “a thousand” is an exaggeration when it comes to the torii gates. 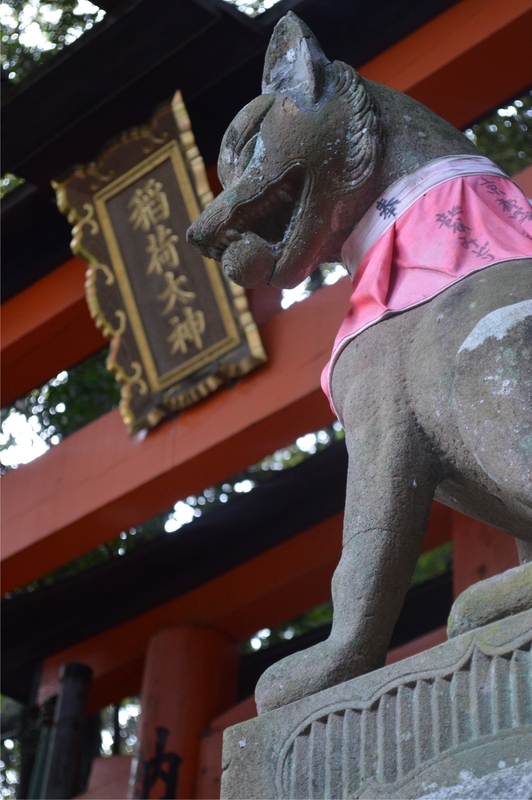 A Kitsune (Fox) statue. Foxes are very common at Inari Shrines. 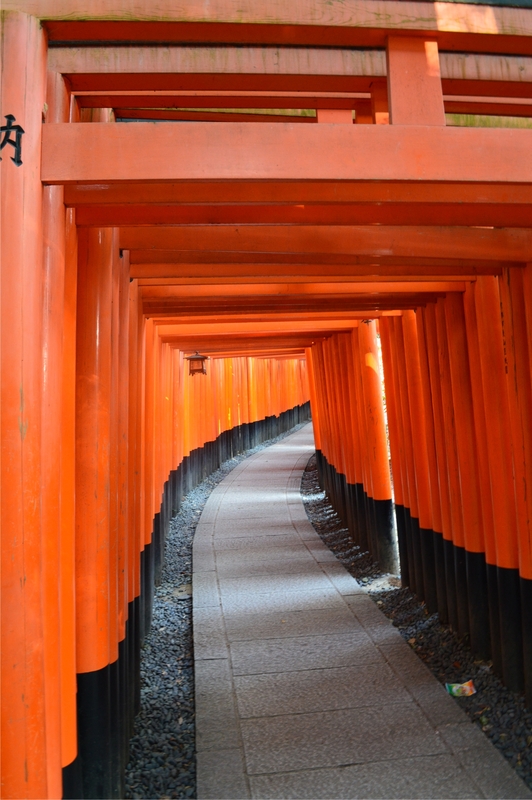 Categories: Japan, Travels | Tags: Fushimi Inari Taisha, Golden Pavilion, Japan, Kinkaku-ji, Kyoto, thousand torii gates | Permalink. Sometimes you find great places just by walking around and just go where your feet takes you. 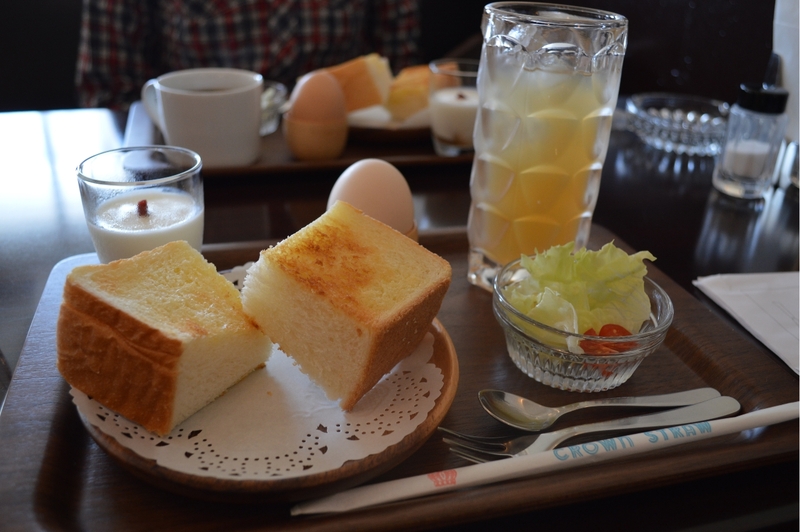 This day we started out with an awesome breakfast where we finally got hold of some bread. Back home we usually eat a lot of bread and in Japan it’s a scarce commodity so we were thrilled when we saw the plates. You might wonder “well then, what do the Japanese eat for breakfast?” and the answer is, pretty much what they have for lunch and dinner. Another lovely thing about meals in Japan is how they are presented. I mean, just look at that tray with everything neatly placed! The attention to details is just remarkable and they truly follow the rule “less is more” (see the one dried fruit in the yoghurt). 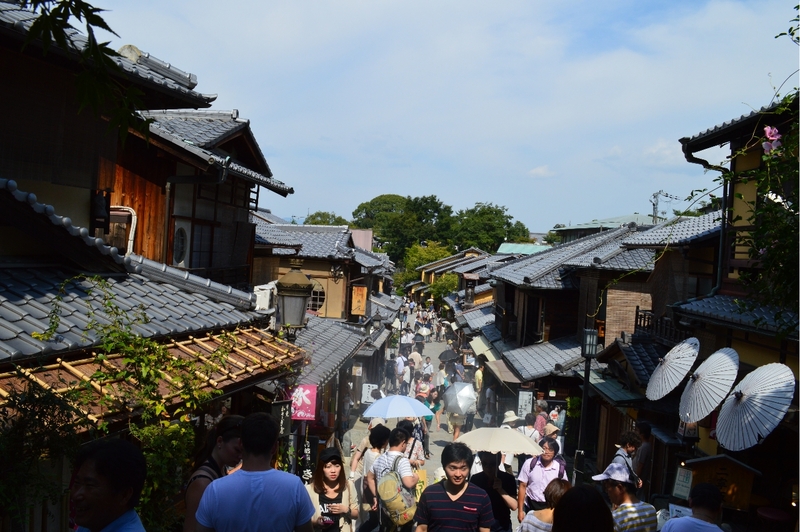 After the breakfast we browsed the shops that was lining the narrow streets up towards the Kiyomizu-dera temple. Where there are temples, there are “touristy shops” but in the middle of it all, we found several nice shops selling tea, earthenware, sweets etc. 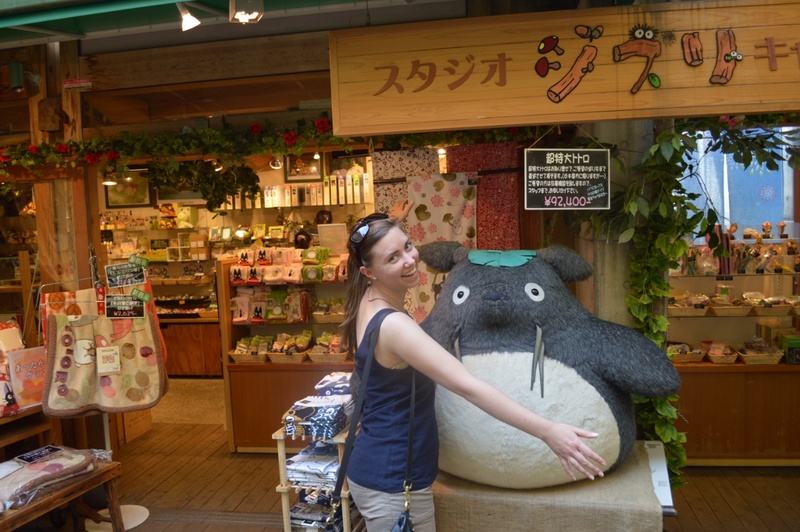 Inside a small alley, we even found a shop selling Studio Ghibli stuff with an enormous Totoro outside! Totoro! If only you could fit in my bag! 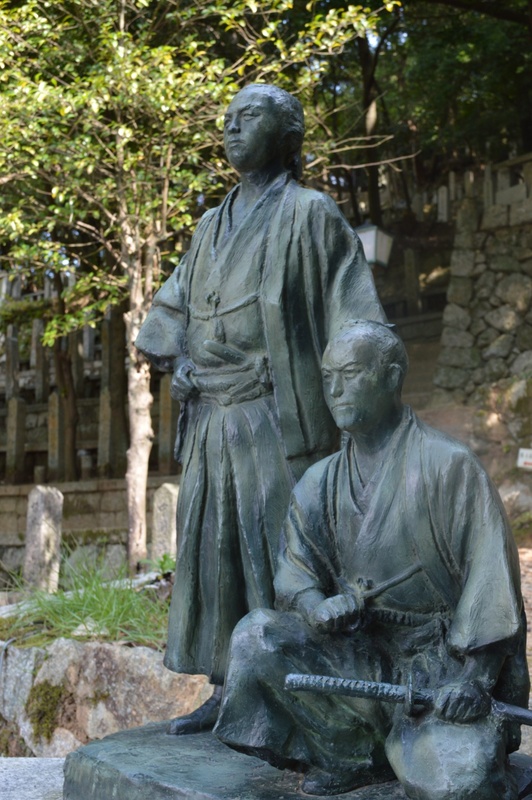 After leaving the crowded streets we walked up Ishin-no-Michi st, a steep road leading to what looked like a temple. For a small entry fee of a couple of hundred yen, we entered the Ishin-no-Michi grounds and started climbing the stairs. It was a tough climb because of the heat but I’m glad we made it because the view from the bottom of the graveyard was amazing. 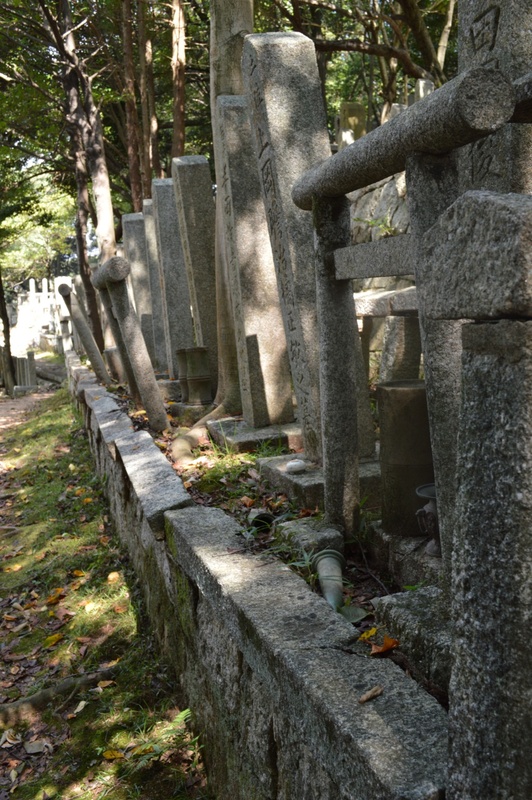 The graveyard is the resting place for over a thousand people, both royalists and samurai that died around 1867. 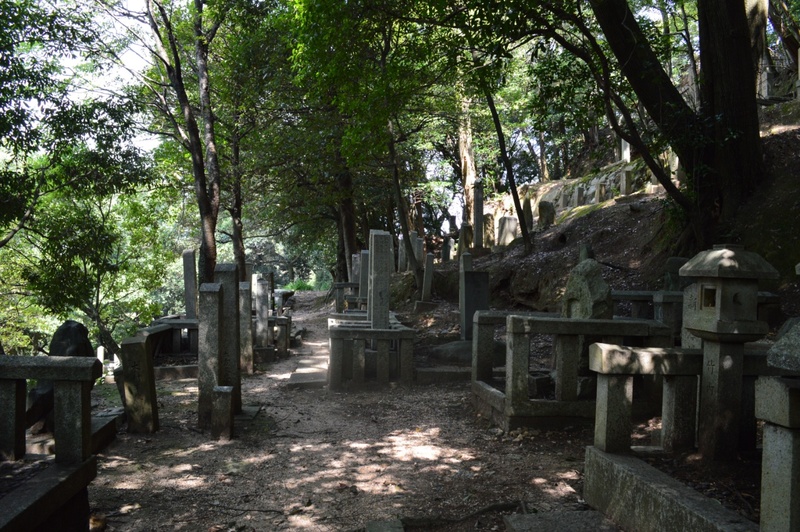 On the steep mountain slope and under the lush vegetation, it was a beautiful and peaceful resting place. 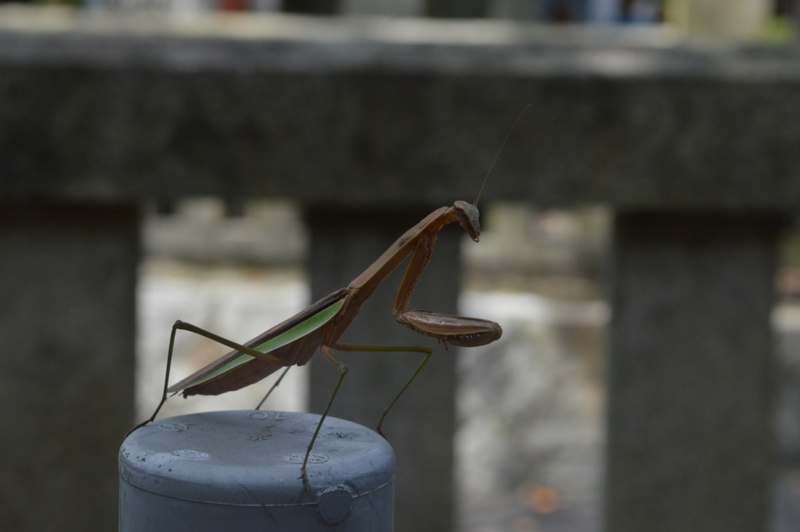 This is what we found right outside the toilet, a gigantic mantis! I’ve never seen one in real life so I was very excited. In the afternoon we also paid a visit to the Nishiki food market in the more central part of Kyoto. There where “no photo” signs pretty much all over the street so I couldn’t take many pictures :( There were all kinds of food there. Fish, vegetable, tofu, tea, mochi sweets and also weird things I’ve never ever seen before (and don’t expect to in the future either). The weirdest thing must’ve been the tiny octopus with a cooked quail egg inside it’s head. Unfortunately, I couldn’t take any pictures of it but luckily, someone else did! 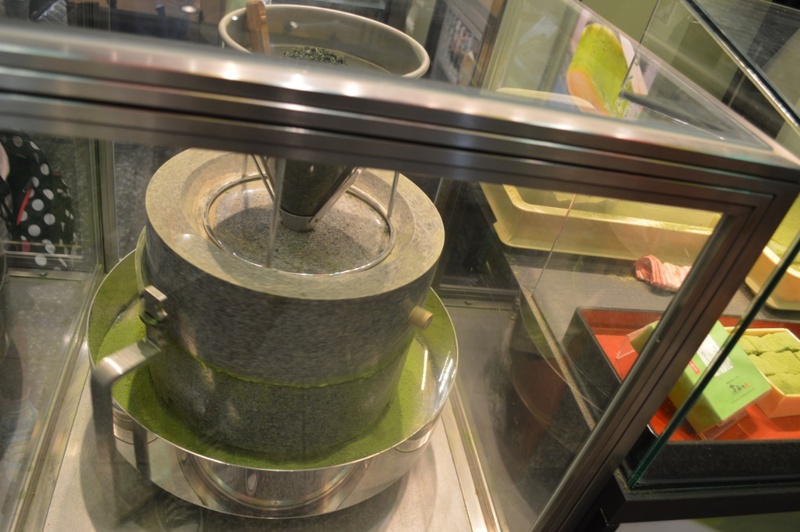 We also bought some green tea (sencha) and at the end of the street we found this super cool machine that was making matcha tea! Basically, you mash tea leaves completely with a stone and get a fine grain powder that you mix with hot water and drink. It’s said to be very healthy since you drink the entire leaves. It’s also very popular in ice cream and sweets. The slightly bitter matcha goes perfect together with the sugar in sweets. 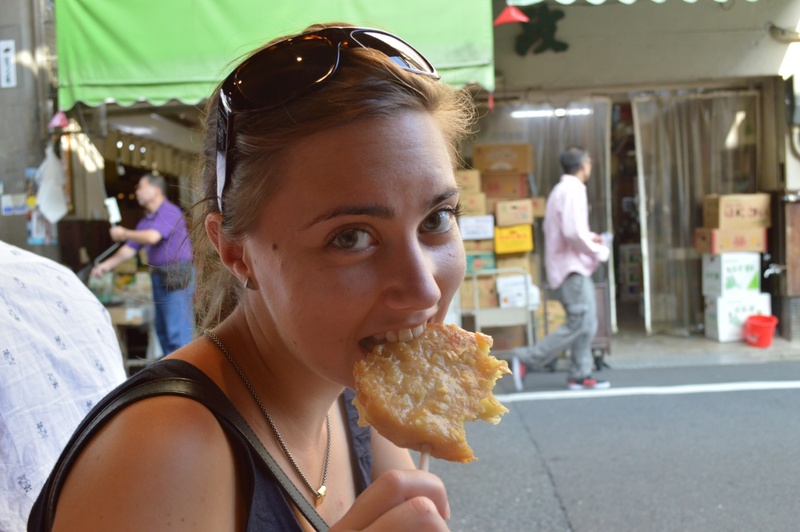 If you ever find yourself in Kyoto and are even remotely interested in food, I recommend checking out the market. It really was an experience. Categories: Japan, Travels | Tags: Ishin-no-Michi, Japan, Kyoto, Nishiki, Totoro | Permalink. The honeymoon was awesome but it feels good to be back home in Sweden again! I’m sure gonna miss a couple of things I got used to in Japan. First thing is how quiet, polite and nice the people are. If you’re lost, they will help you. Some will even walk you to your destination! Second is the trains. After enjoying the trains in Japan for 3 weeks, I can’t say that I look forward to riding my chaotic bus to work. In Japan, you’re not allowed to speak on your mobile phone while riding the subway trains, or any trains for that matter. You should also don’t talk too must or too loud to your friends. I wish the teenagers riding ‘my’ bus to school would abide to these rules as well… And for some unknown reason, young children don’t seem to cry/scream as much in Japan as they do on the trams and buses here in Sweden. I don’t get it. How do they make the kids stay quiet? Categories: Japan, Travels | Tags: Japan | Permalink.